Intuit is a $4.2 billion global provider of business and financial management solutions for small businesses, accountants and consumers. The company came to India in 2005 and set up its Asia Pacific headquarters in Bangalore, where it supports various products specifically for India as well as the rest of the world. For the last eight years, Intuit has been on GPTW India’s Best Companies to Work For list, ranking #10 in 2016. We got a chance to get an insight into the Intuit office and their work culture from the company. 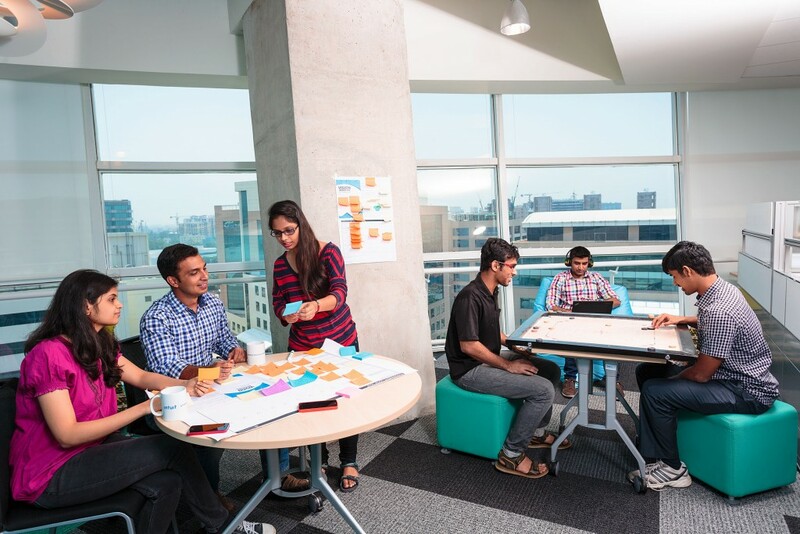 The Intuit offices in India comprise of approximately 3.5 lakhs square feet and employ over 900 people. The scale of operations spans across Global Product Development, IT, Sales, Marketing and Technology Innovation. “At Intuit, we are committed in providing the best facilities for our employees and create a culture that fosters a strong work-life balance. 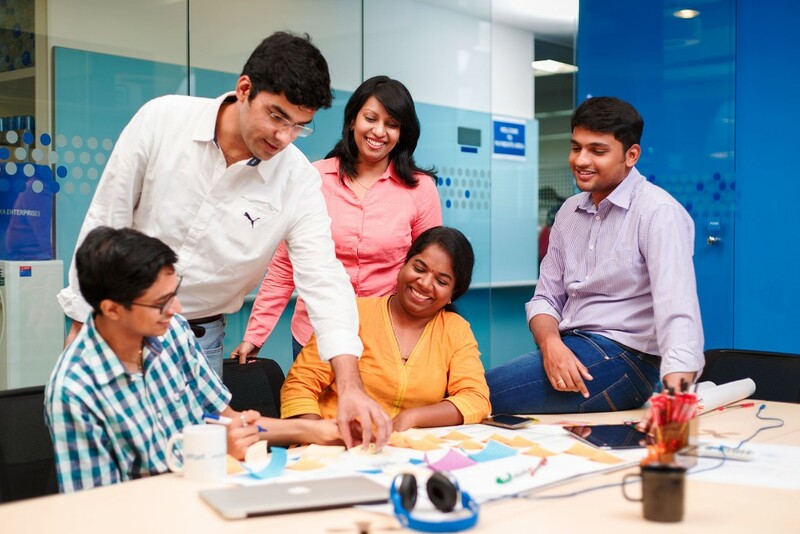 This is to ensure that the world’s best talent can do the best work of their lives at Intuit. Our campuses, Building 8 and 6A are LEED platinum certified buildings. 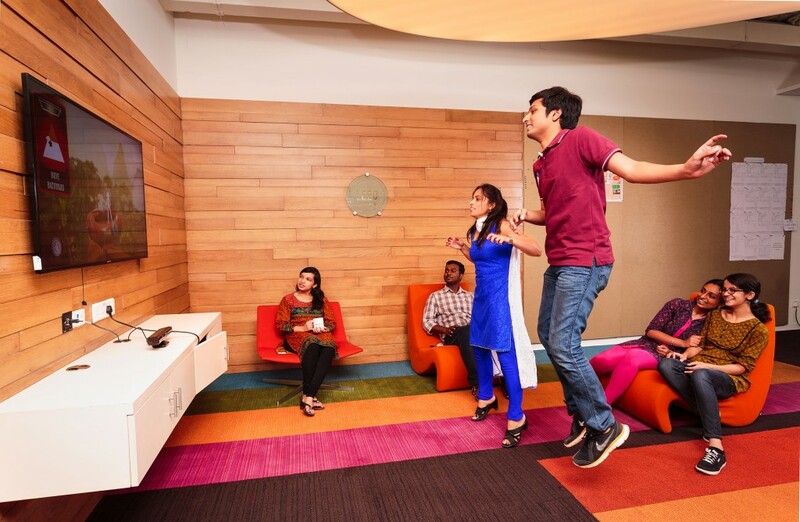 Campus 8 is integrated with a Lighting Management System, which controls the lights lux level on the floor, and motion sensors monitor the floor occupancy and optimize the lighting.”, says Somnath Baishya, Director and Head HR at Intuit India. Keeping the environment in mind, Intuit does not allow the use of plastic or paper cups at any tuck shops or in any of the pantries. Proper disposal is of paramount importance and towards this end the company has engaged with Pro Enviro Recycling, jointly working with ITC-PSPD for the WoW initiative (Wealth out of Waste). “At Intuit we understand that parenthood is a significant event and responsibility in an employee’s life. As an organisation we believe that it is our responsibility to stand by our employees during those critical moments. With that in mind, we recently revamped our parental policies in January 2016 and presented it under the under the #GotYouCovered program. It aims at not only helping employees celebrate parenthood with time off, but also addresses the dual parental responsibilities that new mothers and fathers have to take on after a child’s birth, without having to worry about work.” Under the revamped benefits, Intuit now offers paid maternity leave up to 26 calendar weeks (as against the statutory norm of 12 calendar weeks) and paternity leave up to 15 working days. Adoption leave is agnostic to gender and is provided to all employees adopting children – whether male or female – so long as they are the primary caregiver of the child. For those adopting, Intuit offers Adoption Assistance that helps new parents with the mounting legal work and fees that adoption entails along with 26 weeks of paid leave. Intuit also offers resources and counseling to all their employees, through Optum, an Intuit initiative. A confidential counseling session with a trained professional, gives employees the chance to de-stress and get an outside perspective on their challenges. The Employee Assistance Program (EAP) benefit provides six free, confidential counseling sessions, in person or over the phone, from an expert. Intuit offers a well-rounded work experience to its employees. There is a fitness centre in the building which provides physiotherapist visits, Yoga and Zumba classes. Meals at the tuck shop and café are free for employees; snacks, fresh fruits, tetra juices, cereals and an assortment of cookies are also always available in the pantry for the employees to enjoy. 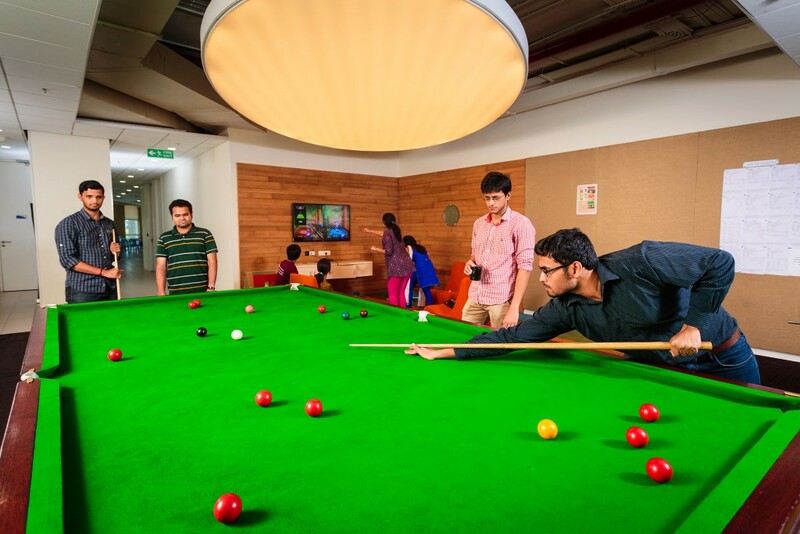 Additionally, there are plenty of recreational facilities provided to employees in India such as a massage chair located in the recreation area, Snooker, Fuse ball and Table Tennis Tables, carom boards and board games. X-Box gaming lounges have been recently introduced in our campus.